What IS and IS NOT Analysis – and the five benefits of good analysis. You can’t be expected to know the entire competitive landscape well enough to correctly call ALL the shots. Within today’s complex, chaotic, and globally competitive environment – think VUCA world – the pressing need for sense-making, strategic thinking and improved understanding of the competitive terrain is why you need to develop and enhance your analytical abilities. Analysis needs to be done well if you want your business to succeed. And you ask – But isn’t analysis something that my software can do for me? Can’t I just get by and rely on a mixture of collected data, software analysis, intuition, and experience? My answer is unfortunately a resounding no – and definitely not these days. Let me briefly explain what I do and do not mean by analysis by referring to the following table. Methods The practiced application of proven technologies. Constant usage of industry conventions and one-off solutions. We hire consultants to do it for us. Output Actionable insight, intelligence/meaning and implications derived from data and information. Repackaged, re-organized, re-classified data and information. Often a summary of the information at hand. No meaningful conversion. Data Sources Legal and ethical gathering of relevant data or information driven by the needs defined in the structuring of the analytical question. Seeking and using data or information from illegal sources or by unethical means – often incomplete. Timing Provided in advance of any decisions. Rushed to provide support to an answer that has been decided. Communication Channel Conducted in whatever means the decision maker can best accept and use it. Done via “formal” reports with a specific format. Now What? Just something nice to know – providing no insights. Catalyst Yours or your bosses discussed need to know something. The need to better position your organization in its competitive marketplace. What you think or hope is important to the executive. The need to demonstrate we are actually doing something. Early warning of potentially developing opportunities or emerging threats in your competitive environment. An objective and arms-length assessment of your organization’s relative competitive position. The means for basing your organization’s strategic, marketing, sales or product plans on relevant and timely intelligence. Confidence that decisions are based on systematically derived understandings that reduce ambiguity and complexity to low levels. Does your analysis deliver the above? The driving purpose of performing analysis is to better understand your industry, the context of your business, and your competitors so that you can make better decisions. Improving the quality of decision-making should hopefully improve the quality of the strategies that you implement – providing you with a competitive advantage – and superior performance results. 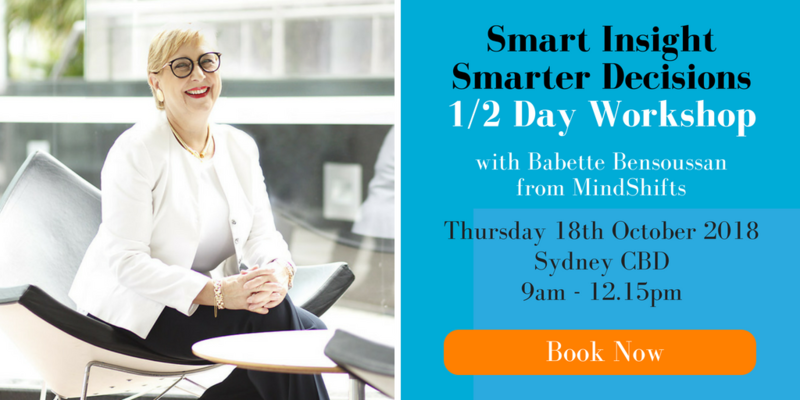 If you would like to find out how you can develop your competitive intelligence capabilities – or those within your organisation – contact Babette Bensoussan for a confidential conversation. https://mindshifts.com.au/ms/wp-content/uploads/2019/04/7-deadly-sins-of-business-8.png 315 560 Babette Bensoussan https://mindshifts.com.au/ms/wp-content/uploads/2017/08/mindshift.jpg Babette Bensoussan2019-04-08 16:02:592019-04-10 17:01:57What IS and IS NOT Analysis - and the five benefits of good analysis. 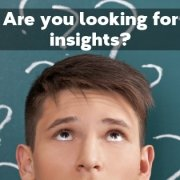 Are you looking for insights? This post focuses on one of the hardest steps in providing intelligence or insights to decision-makers – identifying Users Needs and the direction of an Intelligence Assignment. The Competitive Intelligence process is defined as “a systematic and on-going process forgathering and analysing information to derive actionable insights about competitors, the competitive environment and trends in order to further the organization’s business goals” (Adapted from Fleisher & Bensoussan, 2003). Whether you are doing competitive intelligence, market intelligence, strategic intelligence, consulting, or providing support for decision-makers, the first step is to identify the client’s key question or objective and then plan the direction of the assignment. Experience has shown that identifying Key Intelligence Topics (KIT)/Key Intelligence Questions (KIQ) to be one of the hardest steps. Executives are often like kids in a candy store to start with, believing that any question, focus or topic will do – only to find the answers often provide little, if any, strategic value. It is absolutely vital that there is an understanding of what the “customer” (the decision-maker) really wants, where they are coming from, and how the insights will be directly related to a management decision or course of action. Wow, how different was the assignment now. We immediately realised that in order to answer their original question, we would have delivered little strategic value. The key was in understanding that what the client really wanted to know and the reasons behind the question. Formulate the goal you want to achieve. The goal, whatever it may be, will in effect drive your information gathering process and keep you focussed. Too many times research projects fall over because of poor identification and understanding of the topic or question, and its relationship to the business. It is really worthwhile spending time here to understand your decision-makers. Scope out the project parameters. What business decision is being supported? What specific information is required? What are some potential sources of information? What are the assumptions implicit in the KIT?KIQ? What method of analysis should be undertaken to answer the KIT/KIQ? What form should the final ‘report’ take? What are the budget constraints? It is a waste of time and resources to ask too broad a question to start off with. It will always deliver little value. Early Warning Issues– these typically stress activities and subjects by which management does not want to be surprised. They are heavily weighted toward threats. Strategic and Tactical Issues– these relate predominantly to the development of strategic plans and strategies. However issues around the implementation of marketing or sales tactics are also identified in this area. Market Player Profiles – these are the least actionable but reflect a need to understand a “player” in a particular market. The approach outlined above enables a clearer focus on the specific types of questions and the irrelation to company strategic issues, competitor issues or factors that cost the company money whether for today or tomorrow. 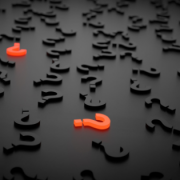 The more specific questions are to start off with, the easier it will be to build up decision support, intelligence abilities, and deliver value. It has often been said that the critical factor is not the information we get but the questions we ask. Often we ask questions that are either too broad or too convoluted to be able to provide us with a specific response. In the end we often end up with information that is of little strategic value. So start with questions that are quite specific and result in a specific response. The important thing to remember in all of this is that intelligence works for the business. Businesses have a purpose, an intent, and all intelligence activity must be carried out for, and focus on, the intent of the business – otherwise why bother!! To get information for the sake of getting it is really a waste of time – especially in today’s climate of information overload and fake news. The key is in understanding what you really need to know, where you are coming from, and how the intelligence will be directly related to a management decision or course of action. Once the issues around the KIT/KIQ have been clearly defined and agreed to, a plan and direction of how the assignment will be undertaken can then be formulated. The major focus is not just the identification of sources of information but what method of analysis will be used to turn the information into intelligence and insights. Let me say at this point that there are over 170 methods of analysis in business, and picking the appropriate methodology is critical to delivering value. It is through analysis that information is turned into intelligence. Insights are created – they’re never found! https://mindshifts.com.au/ms/wp-content/uploads/2019/02/7-deadly-sins-of-business-5.png 315 560 Babette Bensoussan https://mindshifts.com.au/ms/wp-content/uploads/2017/08/mindshift.jpg Babette Bensoussan2019-02-14 14:24:112019-03-08 14:04:03Are you looking for insights? In December last year we decided to undertake a short survey (only 6 questions) with our readers to see how people felt about 2018, and to determine what each of you was seeking in 2019. We promised we would share the survey results! Well firstly, thank you to the many people who undertook the survey. I so appreciated how many people took the time to respond. Humbled indeed. Secondly, wow, over 62% of you do not want 2019 to be like 2018. So what are you looking to change this year and what are your areas of greatest concern? The issue was not with family, partners and friendships but with careers, physical health/wellbeing and financial situations. The next markedly lower category of concern was around Health and Personal Ageing. When we asked if you did 2019 like 2018 would you be satisfied, 62% replied No! Not surprising. However, the next question asked what changes would you make in 2019. You would have thought people would address their top concern of Finances and Career, right? Well, the top three answers were: improve my health; go on a holiday; and improve my relationships. Interesting isn’t it! As a group we listed our top concerns as Finances and Career – and yet what we want to change in the year ahead relates to Health, Holidays and Relationships! There’s nothing wrong with wanting to make change to these three areas, but I do think it’s interesting that we don’t seem to want to prioritise the things that are really worrying us. Let’s go a little deeper. The final question of the survey addressed the future, identifying your big question moving forward. We broke up the responses here into the categories of finances, career, and let’s call it wellbeing to fit in with the top concerns. In summary, the majority of you don’t want to repeat 2018 in 2019, and your big questions for 2019 deal with issues related to your work and careers. You can see that as a group we seem unclear on how we should deal with the issues that cause us most concern. This begs the question – what will you do differently in 2019 in light of your concerns? Who will you ask to be your coach and / or mentor this year? 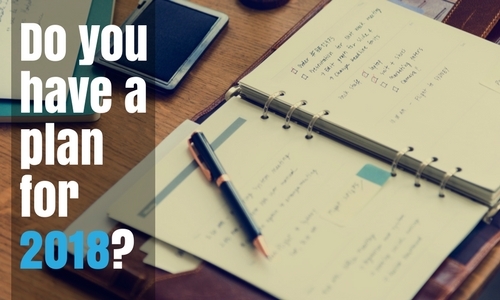 What professional development or program will you undertake in 2019? What network(s) will you become more actively involved in? What magazine / reading material will you subscribe to? Think about how you can access information about future trends, innovations that will help you to prepare for the future. Some links to Book Lists. Whats the one thing you will do differently and be held accountable for? Ultimately making change is up to you. If you’d like help to ensure 2019 looks different to 2018, I am offering 20% off my coaching and mentoring programs until 31st January 2019. Get in touch via this link. Or, via the Contact Us page. Keep In Touch: subscribe to our monthly newsletter for tips, advice and insights that will improve the decisions you make in your life and career. 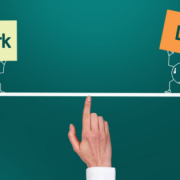 Worklife balance – Is there such a thing? When I was first asked to write about work/life balance, internally I chuckled. My life has at times been so unbalanced that I feel I’m an expert about what NOT to do. As I have grown older and hopefully wiser, I have come to realise that to live a good life there needs to be moderation in everything. Something I guess I am not good at. Let me give you some background to help you understand where I am coming from. From 1982 to 1992 I studied for my degrees part-time while working full time and trying to make my way up the corporate ladder. That was a Bachelors Degree in Business with majors in Marketing and Economics and then an MBA. While working at least 40 hours per week for my employers, I was adding another 40 hours (at least) a week in studies. Work/Life Balance? I had none. In fact, I was spelling “fun” as “w-o-r-k”!!! If I wasn’t studying, I was working and if I wasn’t working, I was studying. My friends were my fellow students and if we got together for an evening it was either completing assignments or preparing for exams. Definitely not what you’d call a balanced life! Today, for me, a work/life balance is where there is time and space for earning a living, enjoying the company of family and friends, having regular holidays, time to exercise and time to ruminate. In other words balance occurs where there is equal distribution amongst all the aspects of one’s life. Control – or Losing Control? In the past, I definitely did not treat these areas of my life equally – often because I felt I had no control over my time. As I was half way through my MBA, I decided that I needed to go out there on my own and start my own business. I needed more control over my life and a better balance, or so I thought. Well let me tell you, there is nothing like starting your own business while studying!! Instead of working 80 hours a week, I was now working (and worrying) what felt like 24 hours a day, 7 days a week. Even when my studies came to an end and I only had to concentrate on my business, I thought, at last, I’ll now have a chance for a better work/life balance. Well, up until recently, I can say I have rarely had holidays longer than one week a year – if that for some years. I have attempted to balance all the parts of my life but with little success. Work seems to have always gained the upper hand. Nowadays, I think I know why. Balance in one’s life is based, I believe, on your personality drivers and personal values. In case you have not guessed yet, I am a type A personality – very achievement oriented, a workaholic. Everything I did in work needed to be as good as possible if not perfect….. exhausting isn’t it! These drivers and values rarely let me rest – there was always something bigger or better to achieve. As a result there was little moderation in my life – everything was predominantly work/goal oriented. This was after all the only way I believed I could show the world I was worthwhile and of value. Changing Values – and Thoughts to Achieve a New ‘Balance’. A couple of years ago I realised I did not want to live my life this way anymore. I no longer wanted to buy into the long hours of the perfect executive. I wanted to get off the work treadmill. To completely change my pattern of behaviour I recognised the need to fully understand what was driving me to achieve in work only. The first step was identifying where the drivers and values that motivated my current balance came from. After a great deal of thought with some support from a wonderful coach and a few mentors, some of my drivers I would suggest I was born with, but a lot were and are the result of my family and school upbringing. I am of the opinion that these pre-set values or thinking can be changed over time with focus. Over the past year, I have slowly changed some of my values and thoughts. Whether that is a result of conscious effort or age or both, I am not sure. I now no longer work on weekends – big step there! I am no longer driven to prove myself as much – I guess because I have already achieved much, to be truthful, and for which I am grateful. 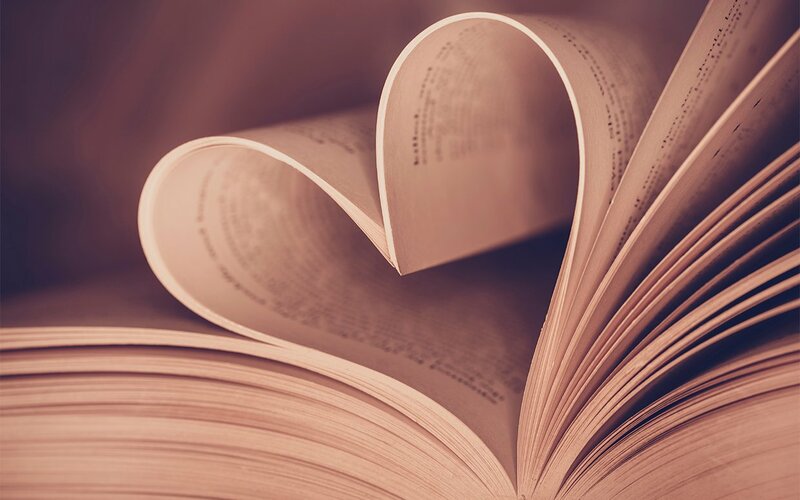 I now make the time to read, to get together with family and friends and to even look after myself. My key thought that changed was that there was no need for balance – it was ALL my life. I did however have a choice whether I want to work hard or whether I want time to play. It is MY values that will drive whether I really achieve balance or not in my life. Each one of us needs to find our own balance amongst all the different aspects of our lives. But first I believe we need to understand the values and drivers we hold about our self worth and those values we want to hold close. It is your choice how you live your life. The idea of ‘balance’ is such a personal thing – but something that is in OUR control. If you would like to better understand your drivers, and values – and create your balance in 2019, book in for a complimentary 45 min coaching session. Enquire Now. https://mindshifts.com.au/ms/wp-content/uploads/2018/11/7-deadly-sins-of-business-4.png 315 560 Babette Bensoussan https://mindshifts.com.au/ms/wp-content/uploads/2017/08/mindshift.jpg Babette Bensoussan2018-11-14 21:27:092018-11-15 10:59:16Worklife balance - Is there such a thing? Are You Starved of Intelligence? As laudable as it may be to make some decisions instead of no decisions there is now a major change in the dynamics of the decision-making environment. While information is more abundant than ever before, managers are intelligent information starved! Yesterday’s information and methods are increasingly ineffective for making today’s decisions – and even less effective for identifying tomorrow’s opportunities, problems, and unknown competitors. Competitive Intelligence, or CI as it is commonly referred to, has grown as a specialist management discipline around the world as companies face tougher and faster competition. In fact, CI in large successful multinational organisations is becoming a “must have” rather than a “nice to have”. Recent studies from the USA indicate that budgets for CI now range up to and over US$4 million per annum and that rates of return can be as high as 4000%. In the past, Australian businesses have been slow to practise effective Competitive Intelligence. One reason I believe is that many Australian companies think they are already practising Competitive Intelligence. Although all managers intuitively carry out some form of CI, the information explosion, fake news, changing technology, and increasing global competitive pressures mean that there is an increasing need to develop more systematic ways of using CI. Today, some are beginning to realise it is a strict discipline that selects and delivers the right insights to support key decision-makers, a discipline focused on the external environment, maximising the company’s competitiveness, optimising time and profit, while minimising risk. CI relates to the techniques used to interpret and analyse external information and communicate it to the right people for timely and effective use. It is ethical and legal and right now it is estimated that over 90% of what one will ever need to answer an executive’s questions, is already in the public domain. Maybe not in the form that will directly answer questions, but the pieces of the intelligence jigsaw are always there. It is important to note that intelligence or insight is never found – it is created specifically as a result of information collection, analysis and interpretation. It is the insight from the analysis that enables executives to make sharper and smarter decisions. The most significant issue that sets this process apart from conventional information systems is that rarely is one piece of data or information in itself sufficient to provide management with all the answers and that it requires the introduction of the process of “analysis” and “thinking”. After all, the keys to the future are not found through extrapolations, predictions or media gurus, but through patient, careful strategic work. 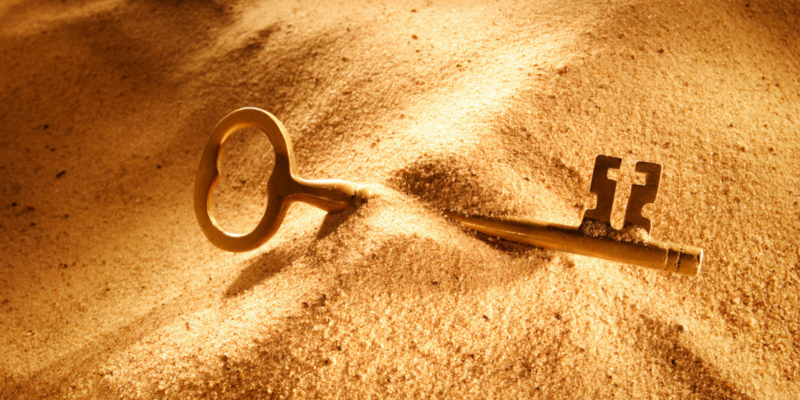 Make More Informed Decisions… Not Decisions in a Vacuum. The purpose of CI is not to predict the future, but to identify what is likely to happen and to assist leaders to make better decisions about the organisation’s future. 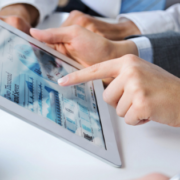 Competitive Intelligence is an integral part of making business decisions today. The data and information gathering and evaluating process can identify and project strategies that current or emerging customers and competitors might pursue, and provides an assessment of the implication of these strategies on your company’s future. This process is very specific in its intent and always outward looking, using both internal and external resources as mentioned above. We need to realize that we are threatening the very existence of our organization if we continue to make decisions in a vacuum. We need to realize that our more wide-awake competitors will climb on the ‘intelligence bandwagon’ even if we don’t. We need to realize that we have exciting new ways to protect margins, to fight the competition, to achieve breakthroughs. We need to realize the positives will far outweigh the negatives – but only if we change. Forced change is always second prize. The secret lies in putting together a strategy for the future based on sound insights. Aardvark had a problem, perhaps many problems. The market for widgets seemed to be changing, revenue and premiums were under pressure in their key market segments. New market entrants and Aardvark’s main competitor were eroding market shares. New business models fueled by information and telco technology and movements in the exchange rate also seemed to be complicating the picture. What was going on, what was driving this turbulence? How would Aardvark respond? How could they improve their competitive advantage? MindShifts worked with Aardvark to define the key intelligence topics and refine the key questions which would drive a situational analysis. Internal sources of information, expertise and networks across the organisation were mined. At the same time MindShifts carried out a targeted search for publicly available information which would add external information to the analysis. We also talked to industry commentators and associations, suppliers, competitors and employees in search of information and knowledge. The strategic drivers were now becoming clear, the market and competitive terrain had fundamentally shifted and Aardvark now appeared to be positioned in the wrong place to take optimal advantage from this powerful set of trends. On the basis of this analysis, MindShifts proposed strategies that would move Aardvark to take advantage of the emerging opportunities. Working with MindShifts, Aardvark was able to move quickly to modify its capability and move into emerging market segments through a new distribution channel with the right sort of product and service offer. Within 12 months Aardvark had reversed the erosion in market share and was also experiencing strong growth in the new market segments they had entered. Aardvark’s market entry was also before its major traditional competitor which was proving to be a significant advantage as they now tried to play catch up. For more information about how we can assist you to develop CI capability in your organisation contact Babette Bensoussan at MindShifts. https://mindshifts.com.au/ms/wp-content/uploads/2018/10/7-deadly-sins-of-business-3.png 315 560 Babette Bensoussan https://mindshifts.com.au/ms/wp-content/uploads/2017/08/mindshift.jpg Babette Bensoussan2018-10-11 16:27:482018-10-11 16:39:14Are You Starved of Intelligence? Are you pursing the goals that matter most to you? Are you satisfied with your level of success? Are you glad to be where you are in life? Are you playing YOUR own game or are you playing someone else’s game? Everything seems hard. We are all busy and we are all tired. We all don’t have enough money. We all know someone who says we can’t or that we would never make it. And then we are worried with what comes next. Are these excuses familiar to you? Well guess what – there is a battle going on….. and it is between your ears!! Don’t surrender. While your fears may be real they are not good enough reasons for inaction. Your biggest work is in front of you and it has to do with how well you lead your life – how good are you at self-leadership? Understanding Energy Leadership is in my opinion the missing link or secret ingredient to making all the methodologies you’ve tried and tossed aside about leadership, work — the petrol in the engine, the currency that fuels your success. Today let’s focus on energy itself. What is this mysterious quality? It’s not just movement or activity, sometimes it is stillness and reflection. Some call it a vitality or force. Energy gives us the capability to differentiate ourselves from another. Energy gives us the physical ability and drive to win the marathon — not in the first 25 miles — but in the last mile, when it is so easy to give up. Energy can be conserved, stored, stockpiled, transformed, leaked and shared. In life we get energy from an amazing array of fuels. We can use this power to grow and develop, use our senses well, attract and repel other energy. Now let’s look at leadership. Interestingly each of us leads by choice or default. The question is not whether you are a leader but how well you purpose to lead. To lead well takes awareness of your energy and a willingness to learn ways to use it better. Your body is a perfect example of an energy system. It’s self-contained, self-governed and thought-affected. Each thought you have contributes a specific energy pattern to the energy within and around you. There are no idle thoughts. Your energy encompasses every thought, feeling, and emotion you’ve had today, as well as, your recent actions. Because thoughts create energy in their own likeness – some can injure and others heal. Energy Leadership Coaching is designed to reveal and develop your personally-effective style of leadership energy. This energy will positively influence and change not only you, but your family members, friends and everyone you work with and meet each day. Well, regardless of who said this, I know that energy is also the secret power of great leadership. Once you understand how you create your reality and attract the things you do in your life, you can create the life you really want. Where to start? Here are some tips about how to overcome fear, and any excuses you may have. Identify your goal and embrace it. Use this question as a start. What do you want the change to look like? How will that give your life meaning? Think about it – even go for a walk to reflect on it. Create the space – even a small space (or time) to make a change. Be accountable to someone while surrounding yourself with others making similar changes themselves. Take small steps that will move you forward. Movement begets movement. Now take another small step…… and change is created. It is time to decide what you intend to do next and what the next few years will mean to you. I feel this is so important that for the month of September only I am offering a 20% discount on all my coaching programs when booked. Get in touch today to find out more about Energy Leadership and our one-to-one coaching programs. https://mindshifts.com.au/ms/wp-content/uploads/2018/09/Mindshifts-EdM-call-out-panels-13.png 512 1024 Babette Bensoussan https://mindshifts.com.au/ms/wp-content/uploads/2017/08/mindshift.jpg Babette Bensoussan2018-09-17 10:26:152018-09-17 13:11:14What Are You Afraid Of? When I look at me, who do I see? My wonderful colleague Jack Speer from Delta Associates http://delta-associates.com wrote this wonderful post. I just had to share it with you. It is about how you really see yourself when you look in the mirror. Are you happy or horrified? What is your self concept when you look at yourself? Some people can’t get enough of their own face in the mirror, others avoid looking at all. Where do you sit? As an executive coach one of the most important aspects of coaching is working on what a person sees when they see themselves—their fundamental self-concept. You have to get self-concept right for anything else to be right. The ”Me” in the mirror is fundamentally a reflection of how you perceive life. What you see will literally be what you get in your life. The health of your self-concept is almost as important as your physical health. It is so fundamental and foundational that no matter how smart you are, how many degrees you’ve earned, your work experience—self concept trumps everything else. To a great extent your self-concept will determine your station in life, your wealth, your happiness and well-being. Do You Accept False information about Yourself—Why!? My father was not a self-disclosing person, so it surprised me one day when I was a teenager when he told me that he would have been happier and more successful in life if he hadn’t been so ugly. Nothing could have been farther from the truth as revealed by his childhood photos. Later in middle age, he was a very good-looking and distinguished man. He simply accepted false information that he was given about himself. You may be carrying around false information that was given you very young, and you still believe it. The Wrong Kind of Humility Can Ruin Your Life—Stop It! Religious upbringing, parents, and culture have a lot to say about how you’re likely to see yourself. I grew up hearing sermons about being humble, and my West Texas parents told me and my brother over and over again—”don’t get the big head.” If I had ever told my parents I wanted to grow up rich and famous, they would have sat me down for a good talking to. It was out of the world view of my West Texas relatives. The opposite of humble is not really haughty. It’s a belief in yourself to be self-confident and to serve those around you. Change Ideas that Will Change Your Life—If You’ll Do Them! Here are some thoughts for you every day when you look in the mirror—they will change your life, but not all at once—changing your self-concept is as difficult as anything you’ll ever do. So here it is . . .
1. Be true to you–your very own guru. When you look into the mirror, you’re seeing in you a unique individual, never ever to be repeated in the history of the world. There are many guides and sources of knowledge and inspiration—but you are the only one capable of evaluating what you receive, and making the final decision. People spend a lifetime looking in the mirror and trying to dress, speak, and style themselves like someone they have seen and admired. What they say is what they think people want them to say. When they walk into a room, they wonder who they should try to be. You certainly must remember you’re not God nor Superman. At the same time, you must trust yourself ultimately. It doesn’t mean you have to abandon your belief, faith, or respect for authority—nothing further from my point. It simply means that you are the last word. Otherwise, you run the risk of drinking someone else’s Kool-Aid—not healthy! 2. Be your own hero—There is no one else you should admire more. When I became my own hero people around me began to look at me differently—like a leader they depended on. Previously, nobody ever beat up on me and put me down like I put down myself. When I was victim of my bad self-concept, everyone responded to me accordingly. Every time I tried to take a role of leadership, I got the feeling that people were saying, “Who do you think you are?” The reason they responded that way was I didn’t believe in who I was. When I believed in myself, others believed in me. 3. Don’t let anyone put you down or limit you because of physical appearance—there’s no “Leaders Look”. At 5’8” inches, I’m getting shorter every year as people grow taller. I go to the gym several times a week and pass by young people who are anywhere from 6’5” up to approaching 7 feet. I am a dwarf compared to these people. Yet short people are doing some really tall things. One of my favourite personalities is Meet the Press host, Chuck Todd, 5’3”, who beat out a lot of very tall people for that position. So if there is something about your physical appearance that you can do something about, work to change it, certainly. But short, tall, fat, homely people who believe in themselves are achieving huge accomplishments every day. 4. Develop your own style that works for you. Leaders come in all kinds of wrappings. I have also known leaders who are incredibly shy, physically unappealing, take-charge people, don’t make any waves folks, sharp elbowed, aggressive personalities, quiet, talkative—all who were successful within their own styles. These people see themselves as leaders and when they walk into a room people often ask, why? It is because of their own self-concept and belief in themselves. Every day you are auditioning for the leading role in the greatest movie of all—the stage play about your life. As the star of that play, you don’t want to walk out on the stage, forget your lines, and fall on your face. It’s not easy to be a star, but you’re in that role. Play that role to the hilt. It’s worth the performance. Find out how you can improve your self-concept. 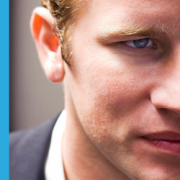 Get in touch for a complimentary coaching session – click here. https://mindshifts.com.au/ms/wp-content/uploads/2018/07/7-deadly-sins-of-business.png 315 560 Babette Bensoussan https://mindshifts.com.au/ms/wp-content/uploads/2017/08/mindshift.jpg Babette Bensoussan2018-07-13 16:27:552018-07-16 10:35:39When I look at me, who do I see? As many of you who will have read my June Monday Motivation will know I have been going through some old files. What memories! However they also reminded me of how often the basics of business still remain unchanged. And one such area is in the way we make business decisions. Why is it that so many companies keep making costly mistakes? The reasons business people make the wrong decisions, in fact, stems from a multiplicity of causes. 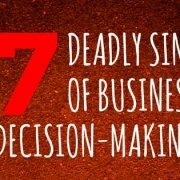 A colleague of mine, Deborah Sawyer, a number of years ago identified seven deadly sins of business decision-making that alas are too familiar to us all. 1. We already have all the answers – the longer someone has worked in an industry the more inclined they are to believe they know all the answers about that industry. The same applies for someone who has worked with a particular company for a while and is immersed in that particular company’s viewpoint. b) arrogance in that we would never go outside for information – we have it all in-house! REMEMBER: History does not always repeat itself! 2. 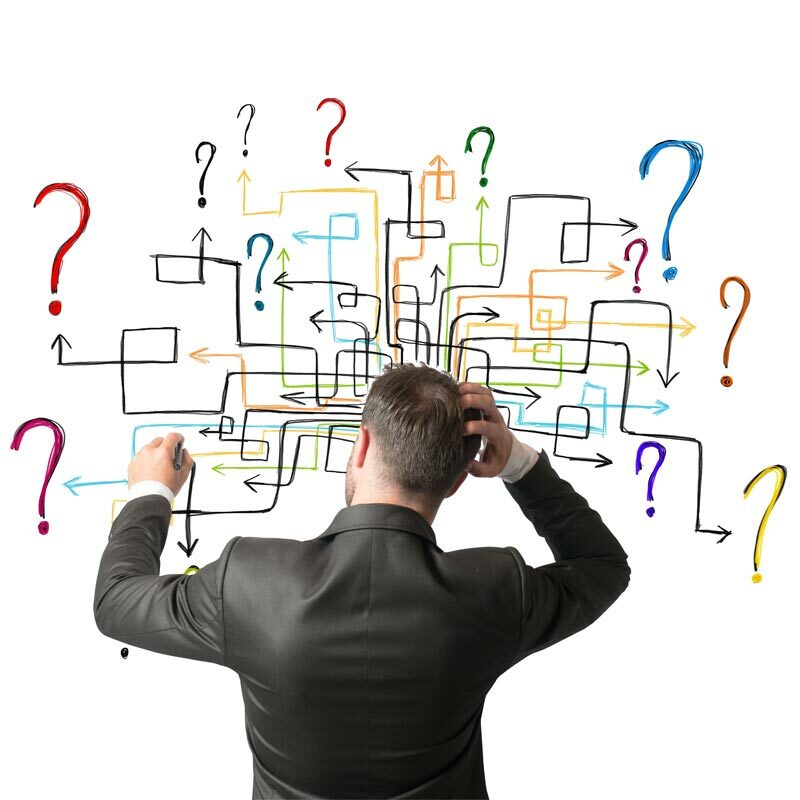 Asking the wrong question – getting to the right decision means having the right information. And having the right information means asking the right questions. Here lies the kernel of another reason why many business people make the wrong decisions – they do not ask the right question. REMEMBER: Asking the wrong quesiton is not such a sin if a company is willing to recognise the mistake, backtrack and then go forward. 3. Old Demon Ego– Decisions which companies should never take, and would never take if egos could be set aside, do get taken because decision-makers can’t give up their pet ideas. Whilst decision makers often know they should go and get some objective input to test their idea, they deliberately avoid doing so. That’s becuase they know an input of information will likely show up the flaws in the project. That would mean they would have to abandon the idea! Have you hugged your pet idea today? 4. Flying by the Seat of your Pants Saves Money – Doesn’t It? – Executives often fall for this one! By not seeking out the information to support decision making, they “save” the company money. It is important to remember here that most readily available information is generalised and intended to inform in a general way. Rarely is generalised information, which just about anyone can access, tailored enough to support business decision making, which has to occur in the context of a paritcular company’s situation. 5. If It Works for Them, It’ll Work for Us (All Aboard the Bandwagon)– Rather than undertake soul searching to find the right choices, a company instead looks around at what others in its industry have done and simply mimics them. By imitating what others do, there is no need to take an idea and test it in the context of your own company to see if there is a fit. c) why is no-one else doing this? This sin is most usually made in mature industries where there are a limited number of players and everyone knows everyone else. a) don’t tell me what I ask to hear! 7. 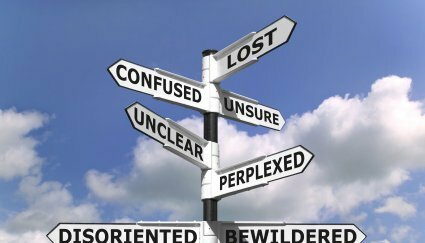 No Decision Can be the Same as a Bad Decision (Hurry Up and Wait) – Failure to make a deicison does not just mean a lost opportunity. It can also take away the chance to take corrective action to an existing business situation. Do you recognise any of these in your business? Every company and every industry runs the risk of thinking that the current status quo will continue. Many decisions taken or not taken rest on this assumption. So which sins are we committing today as we work to being a more profitable business? Get in touch find out how MindShifts can assist you and your organisation to make better decisions. Take action today! Think about the word “problem”. This word actually produces stress because we feel we must solve something, it’s likely to be complicated, and somehow we’ll be graded on how we solve the problem. The word “challenge”, although a vast improvement over the word “problem”, still carries hidden emotional baggage. 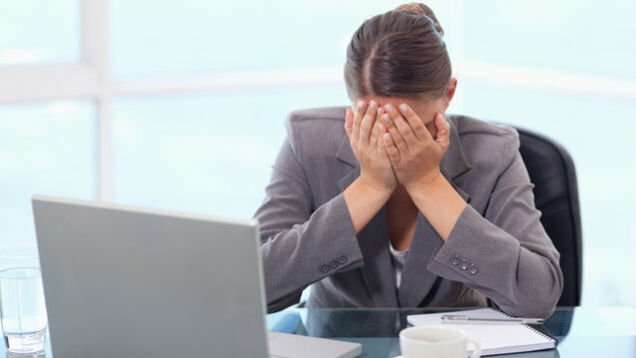 It comes with feelings that maybe you’ll be “humiliated” if your performance isn’t equal to others or you’ll have to climb over a great obstacle or run a tiring race. The words “problem” and “challenge” are emotive words, meaning there are feelings and emotions that accompany them. Most of the time we’re unaware of these emotions as the words are so common. When you see a challenge you naturally begin to see reasons why it can’t be achieved. When you see a problem, you see failure looming. With both, you’re recognising a manifestation of a fear you have. Once you’re victim to the fear of failure you can’t think in a healthy way. The answer? Change your perspective. What if there was no such thing as problems or challenges? What if there were only opportunities to test what you believed, no failures to keep you from trying, and only growth from your experiences? There’s huge power in this kind of thinking! (Which is another good reason to have an objective coach in your life.) Changing your perspective –just the way you use a word for example – helps you tap into an inner energy to accomplish your dreams. Changing your perspective helps you identify and overcome internal obstacles and barriers so you can succeed! For more information on MindShifts Coaching and Mentoring Programs please click here, or get in touch today. https://mindshifts.com.au/ms/wp-content/uploads/2018/05/EdM-call-out-panels-4.png 512 1024 Babette Bensoussan https://mindshifts.com.au/ms/wp-content/uploads/2017/08/mindshift.jpg Babette Bensoussan2018-05-11 14:40:542018-07-03 16:28:49Opportunities Everywhere! 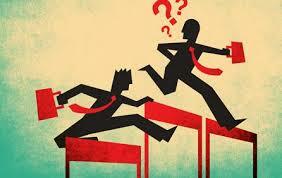 The most critical strategic issue for any business is its competitiveness. No one would disagree with this yet few businesses really spend time and effort to deeply understand and manage their future competitiveness. Most executives monitor their competitiveness through market share and as we all know that indicator is historical and is in no way predictive. Neither is historical tracking of past revenue trends. So how do you monitor your competitiveness, identify potential new entrants, understand your existing competitors, and manage as well as identify your potential competitiveness? 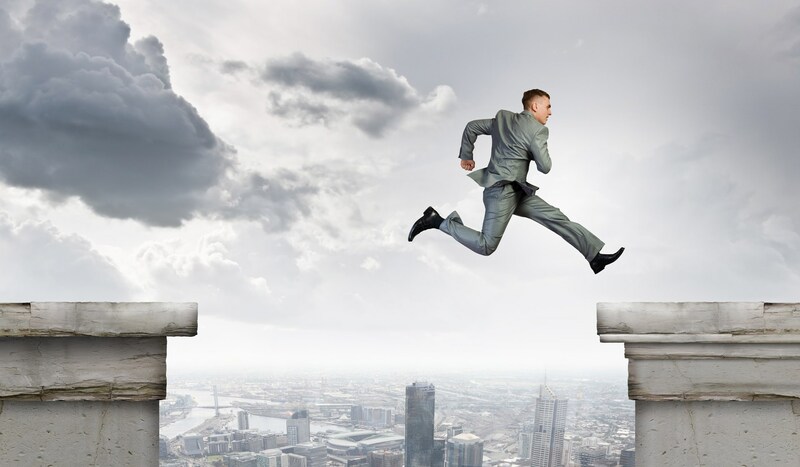 How do you manage the risks involved in being in a competitive market? While generally the CEO is the one responsible for the competitive ability of any business, they are often lacking the right insights to make the best decisions. And while most businesses have plenty of information and plenty of know-how they have very little Competitive Insights or Intelligence (CI). One reason — there is no tie between business strategy and future competitiveness, and business systems and processes. CI is concerned with the methods, systems and processes that a business uses to monitor its competition, any potential industry disruption, its own competitive position, and to improve its competitiveness overall. Although most managers intuitively carry out some form of CI – generally in an ad-hoc way – the overwhelming data that is available, rapidly changing technology, and increasing global competitive pressures mean that there is an increasing need to develop more systematic ways of doing CI. Far too often, businesses make decisions too quickly and without a strategic context — it is a case of ‘ready, fire, aim’. The internet and social media has not helped this mindset, as the speed to market has become a more critical factor. In the end, we are left with a smoking gun, but where did the bullet go? Experience has shown that ‘asking the right question’ is one of the hardest steps for senior management. Here we need to define the decision objective or purpose and to put it simply to understand what really needs to be identified. Once you have identified your objective and possible key questions, the next driver for understanding what you have and don’t have within the business needs to come from studying the forces at work on your business. These forces could include competitors, technology, clients, consumers, new entrants, industry trends and so on. Human sources: for example, people in your organisation, business networks, experts, etc. Economic and financial sources: for example industry reports, economic analyses specialist media. Corporate sources: for example, customers, suppliers. Technical sources: for example technical reports, academic papers, and product manuals. Remember all the information needs to be put into context and subjected to interpretation to derive some meaning and value. The major focus in the CI process is the method of analysis used to turn the information collected into intelligence or insights for the decision maker. It is only through analysis that intelligence or insight is created. The value of insight is early awareness, as it enables you to recognise and monitor the future as it unfolds, thereby reducing risk and minimising mistakes. Today, executives are faced with many pressures — they may sometimes seek only short-term gains — but costly mistakes from executives making uninformed decisions are no longer an option. The risks are too high. It is important to note that the purpose of CI is not to predict the future, but to enable management to make better decisions about the future. In a VUCA world, CI is becoming an integral part of making business decisions. The data and information gathering and evaluating process can identify and project strategies that current or emerging customers and competitors might pursue, and provides an assessment of the implication of these strategies on your company’s future competitiveness. We need to realise that we have exciting new ways to protect margins, to fight the competition, to achieve breakthroughs. We need to realise the positives will far outweigh the negatives – but only if we change. Forced change is always second prize. The secret lies in putting together a strategy for the future based on sound intelligence. As most business people would know SWOT is an acronym for Strengths, Weaknesses, Opportunities and Threats. Traditional SWOT analysis is possibly the most widely known and among the most utilized means of situation analysis. A SWOT analysis is used to assess the fit between a company’s internal resources and capabilities (its strengths and weaknesses) and external possibilities (its opportunities and threats). The technique can be applied to many areas of a company, including products, divisions, and services. The simplicity and ease of using this model have made it a popular technique, particularly for determining a company’s ability to deal with its environment. However, it is also arguably the most misused, misapplied, abused and poorly understood analysis method in management today. Have a look at the diagram below. Most people undertake the first SWOT that, to be honest, provides executives with little insight and no options as to their competitive abilities. It is so easy to fill in four boxes and persuade yourself you have done analysis! The real SWOT (as originally developed by Harvard Professor Ken Andrews) will always deliver insights and options for good decision making. It is a little harder to do however every client I have worked with using this “proper” SWOT has uncovered invaluable insights and options as to its competitive ability. 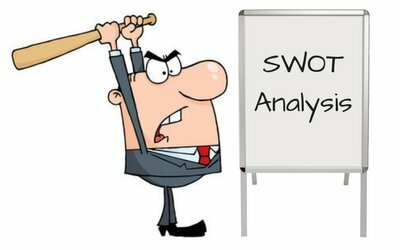 So how can you improve your use of SWOT Analysis? Step 1: The first step in utilizing a SWOT analysis to understand each of the elements. a. Strengths: Strengths are those factors that make an organization more competitive than its marketplace peers. In other words, those factors that differentiate you from your competitors. It is where the company has a distinctive advantage at doing or what resources it has which are superior to the competition. Listing what you believe are your strengths is simply an exercise in patting yourself on the back! Strengths are what differentiates you from your competitors. Your customers, suppliers and third parties know your strengths well compared to your competitors. b. Weaknesses: A weakness is a limitation, fault or defect within the company that can prevent it from achieving its objectives. They occur when the company performs poorly or has inferior capabilities or resources compared to the competition. Again, your customers, suppliers, and other third parties would be aware of your real weaknesses. c. Opportunities: Opportunities include any favorable current or prospective situation in a company’s environment such as a trend, change or overlooked need, which supports the demand for a product or service and permits a company to enhance its competitive position. Opportunities are equally valid for all players in your industry – not just you! d. Threats: A threat includes any unfavorable situation, trend or impending change in a company’s environment that is currently or potentially damaging or threatening to its ability to compete. It may be a barrier, constraint, or anything that might inflict problems, damages, harm or injury to the organization. Again, these threats are equally valid for all the players in your industry. Once you have completed your list in each of the four boxes, the hard work now begins. a. Matching your Strengths and market/industry Opportunities – what are some activities/strategies you could develop? b. Matching your Weaknesses and market/industry Opportunities – what are some activities/strategies you could develop? c. Matching your Strengths and market/industry Threats – what are some activities/strategies you could develop? d. Matching your Weaknesses and market/industry Threats – what are some activities/strategies you could develop? This is not easy to do and requires thinking. Below is an example of a completed SWOT. Once you have completed your SWOT, you will notice some common themes in the activities/strategies you have available. These common themes become what I call your strategic imperatives. You should address these in the coming 12 months as they will provide you with a competitive ability based on your current market fit. Each year, business executives need to repeat this process as your fit will no longer be the same – and neither will your marketplace! What’s your personal plan for 2018? Most of us have a personal plan – of some kind. It might be a list of things that you’re ‘hoping’ to achieve… and sometimes you might have it ‘written down somewhere’. After working with successful people for over 20 years as a business advisor and coach I know from experience that for a plan to be achievable it must be explicit and ‘alive’. Having a plan in your head just isn’t going to cut it. By articulating and writing it out, you will become clearer on the outcomes that you want to achieve. Are you looking to develop your career, inject more fun and enjoyment into your days, enhance relationships, or get on top of your finances or health? 1. Pick a future point in time (maybe the end of the year, or in 3 – 5 years) and imagine your ideal life. What does it look like? What are you doing that is different from today? Action: Download our wheel of life to help you with this process – and reflect on how you have addressed each area of your life at the point in time you have selected. 2. For each area of your life, write down what are you good at, what makes you happy, and what you could improve? Make a list of your strengths and the areas you need to address. 3. Choose one area to focus on. (If you try to focus on too many areas at once you may end up giving up.) Write down what your ultimate objective is – and the steps you need to take to achieve the ideal scenario you’ve described. How will you know if you have achieved your goal? Like any objective you need to make sure it’s measurable. 4. Get a support person or coach to keep you focused and accountable. As I often say, it is hard to keep focus when you are up to your armpit in alligators! 5. Once you feel you are moving forward in one area, you can begin to look at other parts of your life. Remember to set some clear milestones so you know that you are moving in the right direction. Most people think that planning is confined to the office, and limited to finance and budgets. However to create the life that you want – you must plan for it. While there may be a budget somewhere in your plan, a major part of the process will involve taking the time to think, articulate and measure where you are now – where you want to go – and how and when you’re going to get there. After all, you are the leader of your life. Special Offer: Over the next couple of months I’d like to offer you a complimentary 30 minute strategy coaching session to help you map out your personal plan for 2018. Together we can make it your best year yet! Click here to book a time that suits you. https://mindshifts.com.au/ms/wp-content/uploads/2018/01/Selamat-Lebaran-3.jpg 300 500 Babette Bensoussan https://mindshifts.com.au/ms/wp-content/uploads/2017/08/mindshift.jpg Babette Bensoussan2018-01-15 17:27:092018-01-16 18:29:13What's your personal plan for 2018? Emotional Intelligence (EI) is the capacity to effectively perceive, express, understand and manage your emotions and the emotions of others in an effective and appropriate manner. Research has proven that EI is a strong predictor of success in the workplace, more so than IQ, skill sets, personality, and experience. 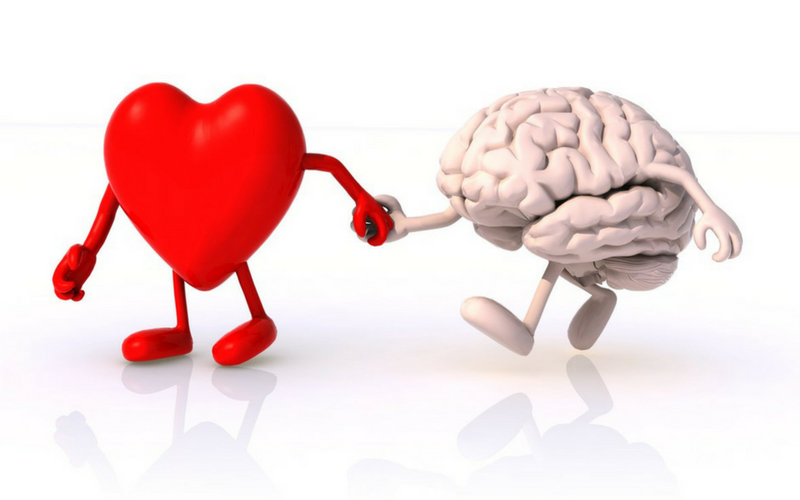 In essence, Emotional Intelligence equals Interpersonal Effectiveness, and the more effective you are with others, the more successful you’ll be. Enhancing and developing a greater awareness and application of EI will have a significant impact in all aspects of your life, including more self-awareness and improved relationships with co-workers, friends, family, and others who are significant in your life. People who improve their EI capabilities are able to decrease stress – personally and professionally, enhance interpersonal relationships, and demonstrate greater leadership and decision-making skills. Even more important, raising EI has a direct and positive effect on your level of consciousness. Begin to take notice of how your thoughts affect your emotions, and how your emotions affect your actions. Self- awareness is the key to beginning to shift your energy and increase EI. As you go through your day, be aware of how you react to situations, and what thoughts are going through your head as you do so. If someone cuts you off on the road, and your thought is ‘What an idiot,’ your resulting emotion would be anger. If you think instead ‘Wow, he must really be in a rush to get someplace,” your emotion would most likely be very different. As you become more self-aware, you’ll be able to identify what triggers your emotions. Journal about areas to improve in your awareness and expression of your emotions. What’s working, and what’s not working for you? What relationships need improvement? Journal about ways to manage and control your emotions. What has been effective for you, and what hasn’t? How do you want to respond, and how can you do so? Practice meditation/centring to be able to build a stronger tolerance to anxiety. Each day, set your intention to be more aware of your thoughts/feelings and how they might affect you and/or others. When you’re very angry or upset, give yourself 5-10 minutes alone, prior to taking any action. Then ask yourself what would be the best way to address the situation. Think about the energy level at which you’d like to respond. Taking a little break will help you respond as you’d like to, not just go with your “knee-jerk” reaction. Seek out others who will assist you, objectively, in providing observations of how they experience you expressing and/or managing/controlling your emotions. You may be surprised at how others view you. Tell others you want to increase your understanding of their thoughts and feelings and “check in” with them periodically about this. You’ll soon become better at reading others. After getting a buy-in, offer feedback to those around you about their emotional awareness, expression, and management. Practice incorporating new skills and behaviours and being aware of how others respond to you. Interview others who demonstrate high EI, to learn some of their strategies for responding to stressful situations. Far too often, we come across organisations where decisions are made too quickly and without a strategic context. 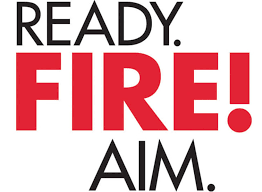 The old rule of “ready, fire, aim” is still prevalent in corporate Australia. The internet has not helped this thinking as the speed to market becomes a critical factor. In the end we are left with a smoking gun but where did the bullet go? While information is more abundant than ever before, managers are intelligent information starved! Competitive Intelligence (CI) has grown as a management discipline around the world as companies face tougher and faster competition. Competitive Intelligence in large successful multinational organisations is becoming a “must have” rather than a “nice to have”. In fact recent studies from the USA indicate that budgets for CI now range up to and over US$4 million per annum and that rates of return can be as high as 4000%. 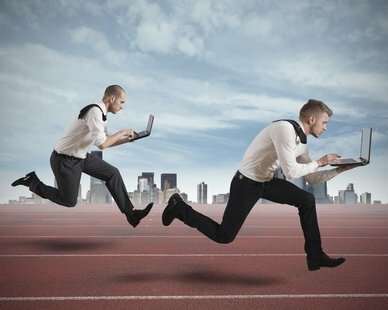 In the past, Australian businesses have been slow to practise effective Competitive Intelligence. One reason we believe, is because they think it is something else, another buzzword, another soft option, another ‘be seen to do’ activity which consumes time and profit. Today, some are beginning to realise it is the opposite, a strict discipline that selects and delivers the right intelligence to support key decision-makers, a discipline focused on optimising time and profit. An example is one client who measures the value of business intelligence simply in dollars – an identified new market worth to them at around A$100 million. Another reason why companies have been slow to pick it up, is that many Australian companies think they are already practising Competitive Intelligence. CI is not paper shuffling, having the most expensive database or the most efficient data distribution. CI is also not market research or strategic planning. It is an approach which focuses these and all marketing, analytical and planning functions on one outcome, maximising the company’s competitiveness. So what is this CI discipline that helps you be “aim” first? Competitive Intelligence is concerned with the methods organisations use to monitor their competition, their own competitive position, and to improve their competitiveness. It is about the techniques used to select and filter information, to interpret and analyse it, to communicate it to the right people, and to use it effectively. Although all managers intuitively carry out some form of CI, the information explosion, changing technology, and increasing global competitive pressures mean that there is an increasing need to develop more systematic ways of using CI. The major focus in the process is not just the identification of sources of information but what method of analysis will be used to turn the information into intelligence. There are over 170 methods of analysis in business and picking the appropriate methodology is critical to delivering value at the end. It is through analysis that intelligence is created. The intelligence process works best however within a strategic framework where individuals and organisations can look ahead with all the means at their disposal, interpret what they find and integrate these understandings into a continuous cycle or process of competitive ability. The keys to the future are not found through extrapolations, predictions or media gurus, but through patient, careful strategic work. You need to be ready and take careful aim at the specific target before you fire. A strategic plan that doesn’t include insight about the near future is next to useless. Yesterday’s information and methods are increasingly ineffective for making today’s decisions – and even less effective for identifying tomorrow’s opportunities, problems, and unknown competitors. The purpose is not to predict the future, but to make better decisions about the future. The value of foresight is early awareness. This reality check enables you to recognize and monitor the future as it unfolds, thereby reducing risk and minimizing mistakes. Costly mistakes by managers firing from the hip, is no longer an option. The issue is often that managers today faced with so many pressures are unsure of the specific target sometimes seeking only short-term gains. The systems for identifying these warning signs is totally different than yesterday’s methodology. For example, business respects and relies on traditional information. Statistics, facts, concrete data. This hard or secondary information is retrospective and most useful for quantifying what has occurred. But it is increasingly unreliable and inaccurate for revealing the future in a rapidly changing environment. Another problem is that of asking the right questions. Experience has shown this to be one of the hardest steps for senior management. The key is to ensure there is understanding of what the “intelligence customer” really wants, where they are coming from, and how the intelligence will be directly related to a management decision or course of action. Too many times, intelligence projects fall over because of the poor identification and understanding of the key issue and its relationship to the business. 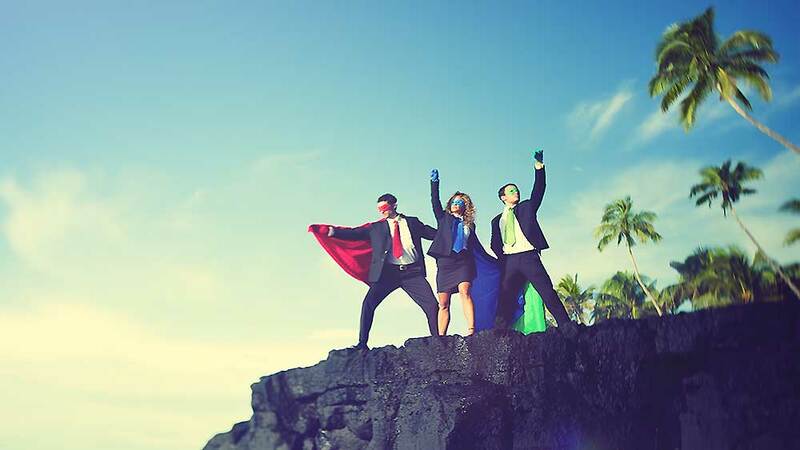 If managers can’t identify the target, how can they be prepared to take aim and be successful? Success comes from hard work and careful planning, and it does not come overnight. The realities of making this work means we need to understand the competitive landscape before we fire, and incorporate this understanding and insight for competitive management. How your organisation prepares its competitive gun, in essence, will provide you with either a strategic advantage — or kindle the demise of your organisation. Today, Competitive Intelligence is not negotiable. Can you afford to fire first? When you get stuck in the habit of trying to please other people pretty much all the time then it can have a sneaky and negative effect. You put on a mask and try to guess what to do while getting anxious and stressed. You sometimes feel taken advantage off by others who use your people pleasing habit and you often feel out of tune with what you yourself deep down want. It can also have an unintended effect on other people as they may see through your mask, start to feel your inner discomfort and stress themselves and get confused or upset because they sense you are not being honest and straightforward with them. So being a people pleaser is often an even worse choice that one may at first think. But how can you change this behavior and break the habit? This week I’d like to share 7 powerful insights and habits that have helped me with that. 1. Realize that with some people it isn’t about you and what you do (no matter what you do). Some people just can’t be pleased. No matter what you do. Because it’s not about what you do or do not do. It’s about him or her. By realizing this and how you in the end can’t get everyone to like you or avoid conflict no matter what you do, you can start to let go of this ineffective and damaging habit. 2. Learn how to say no. It’s of course hard to say no. But it is vital for you own happiness, stress-levels and for living the life you truly want. Disarm and state your need. It’s easier for people to accept your no if you disarm them first. Do that by, for instance, saying that you’re flattered or that you appreciate the kind offer. Then add that you, for example, simply don’t have the time for doing what they want. If they’re pushy, add how you feel. Say that you don’t feel that this offer is a good fit for your life right now. Or that you feel overwhelmed and very busy and so you cannot do whatever they want. Telling someone how you honestly feel can help them to understand your side of the issue better. And it’s also a lot harder to argue with how you feel rather than what you think. Help out a bit. If possible, finish your reply with recommending someone that you think could help out or would be a better fit for what they need. I do this quite often when I feel I lack the knowledge or experience that a reader or a friend is looking for. Remind yourself why it is important to sometimes say no: You teach people by how you behave. They learn about you and your boundaries from your behavior. So if you stand up for yourself and say no and are assertive about what you don’t want then people will start to pick up on that. And over time you’ll encounter fewer and fewer situations where someone tries to be pushy or steamroll you. 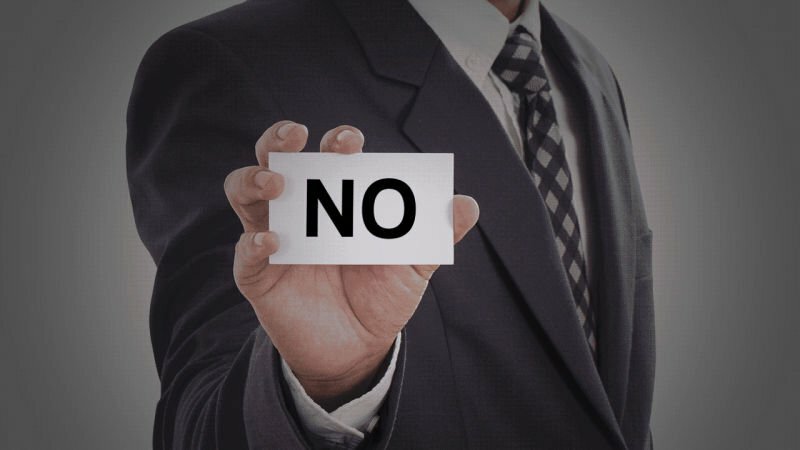 It’s OK to feel a bit guilty about saying no (but you don’t have to act on it). Just feel it and be with that feeling for a while. But at the same time know that it doesn’t mean that you have to act on it and say yes or do what they want you to do. 3. People don’t really care that much about what you say or do. Holding yourself back in life and trying to act in a way that is pleasing to others can, in my experience, come from a belief that people care a great deal about what you say or do. But the truth is that while you may be the main character in your own life and head you’re not that in other people’s lives. Because here’s the thing: people have their hands full with thinking and worrying about their own lives. They have their heads full with thoughts about their kids, career, pets, hobbies, dreams and worries or thoughts about what others may think of them. This realization can make you feel less important. But it can also set you free. 4. Learn how to handle criticism and verbal lash outs (and the fear of that). Wait before you reply. Take a couple of deep breaths in a conversation or a few minutes if you’re in front of your inbox. By doing so you’ll reduce the risk of lashing out yourself or making a mistake. Calming yourself down a bit before replying is pretty much always a good idea. Remember: you can let it go. You don’t have to reply to all the negative messages you may get via email, social media or in real life. You can just say nothing, let it go and move on. This does of course not work in every situation but it’s important to remember that you from time to time do have this option. It’s OK to disagree. This took me time to really get. Because I wanted to get people to my side. To make someone see things the way I did. But it’s also OK to simply have different opinions about things. And to leave it at that. I found that life became lighter and simpler when I started to accept this idea and perspective. 5. Set boundaries for yourself. If you say no to yourself, if you set a few firm boundaries for yourself then it will, over time, become easier to do the same towards other people too. And these boundaries can also help you to focus better on what matters the most to you. A start-time and a stop-time for work. I don’t work before 8 in the morning and my work computer is shut off – at the latest – at 7 in the evening. Work in a no-distraction zone. I keep email notifications and messaging programs off. And my smart phone is on silent mode at the other end of our apartment. Only check email once a day. Otherwise it’s easy for me to lose focus and to have too many thoughts swirling around in my mind while working. As you value yourself, your time, and your energy more, it becomes more natural to say no when you need to. And criticism and negative words will bounce off of you more easily and more often. Plus, you’ll be less concerned about getting everyone else to like you all the time. Because now you like and respect yourself more and your dependency upon what others may think or say, drops drastically. 7. Keep your focus on what YOU want out of your life. If you know what’s most important to you and you keep your focus on that each day then you’ll naturally start to say no and stop being so people pleasing. Because now your energy and time is mostly focused on your needs and wants. You’re not just drifting along anymore without a clear focus (which is great because when you lack that then it’s easy to fall into the trap of just going along with what someone else wants). So how do you do this practically? Ask yourself: what’s the top 3 most important things in my life right now? It could be your small business. Your family. Your career, health, dog, photography hobby, soccer, improving your social life or simplifying your home. Or something else. Create 1-3 reminders. Write down your top 3 most important things on a small piece of paper. And put it on your bedside table so you see it first thing every morning. You can also create 2 more notes with the same answers to for instance put on your fridge and in your workspace. These simple steps have helped me a lot to keep my priorities straight and to remind myself every day not to drift too much from what matters the most to me. So you want your business to be more entrepreneurial and your employees more innovative and productive? But what does that really mean to you? I suspect that you want your employees to still provide the service and quality on which you have and are building your reputation but with the added ability to add value to your business without you having to be there all the time to tell them how. So how do you go about creating a more innovative and entrepreneurial environment? Firstly we need to understand what entrepreneurship means. The press often define the term as starting and operating a new business. Managers on the other hand describe entrepreneurship in such terms as innovative, flexible, dynamic, risk taking, creative and growth oriented and these views are often used to describe the success of organisations such as Apple Computer, Google and General Electric. However none of these definitions are precise enough for managers wishing a more entrepreneurial organisation. For every successful company there are thousands of new restaurants, clothing stores, and consulting firms who have tried to be innovative, creative and growth oriented – yet have failed. So how can you be different? How can you make innovation, flexibility and creativity operational? To help answer these questions, we need to look at entrepreneurial behaviour. Numerous writers on the topic suggest that the best approach is to view managerial behaviour in terms of extremes. At one extreme you have the entrepreneur who feels confident of his or her ability to seize opportunities, expecting surprises and the need to adjust to changes, with the ability to make the most of these changes and to make things happen. At the other extreme, you have the administrator who is fearful of change and the unknown and whose inclination is to bring things back to the way they were. Most of us exist between these two extremes and research has shown that there is a close relationship between opportunity and individual needs. Companies of all sizes have difficulty in encouraging entrepreneurship when the individual’s needs and the company’s interest do not coincide. It is not an easy task. The pressures that push a company to either end of the scale are often determined by factors of timing and resources coupled with personal, organisational and competitive forces. However, the difference in approaches becomes apparent in response to the following questions. Where is the opportunity for my business? The first step to identify an opportunity requires a market or external approach rather than an internal or resource approach. It is important to remember here that most readily available information is generalised and intended to inform in a general way. Rarely is generalised information, which just about anyone can access, tailored enough to support business decision making, which has to occur in the context of a particular company’s situation. The entrepreneur however is attuned to environmental changes, constantly scanning information, which may provide a favourable opportunity, while the administrator seeks to preserve resources and reacts defensively to possible threats. Administratively oriented companies approach new opportunities more cautiously, while successful market oriented businesses are aware that change is inevitable and therefore keep their organisations learning. Entrepreneurs are however not just opportunistic gamblers. They are also creative and innovative. They many not necessarily break new ground but perhaps may mix old ideas in such a way as to provide new services or applications. Some new software companies for example are simply altering slightly existing technology or repackaging it to accommodate new perceived market segments. What resources do I have and how do I control them? Necessity is the mother of invention and many people who start a business make imaginative use of their limited resources. An engineer may discover selling skills which she or he never knew they possessed or a restaurant owner may quickly adjust to waiting on tables. Most of the risk in entrepreneurial management lies in the effort to pursue opportunities with inadequate or inappropriate resources. The only control that an entrepreneur needs from a resource is the ability to use it while an administrator believes that resources are inadequately controlled unless they are owned or on the payroll. Using external resources as required is in itself an opportunity to maintain costs while providing a service equal to or better than larger competitors. Entrepreneurs learn to use other people’s resources well while keeping the option open on bringing them in-house. A small publishing company may hire a free lance to make editorial improvements, or contract with a typesetting company or binding company and even contract with a public relations firm to sell the book to stores. There is no need therefore to control all the resources necessary. It should be remembered however that apart from the effective allocation of scarce resources, successful entrepreneurs seek plateaux of success where they can consolidate their gains before moving to pursue further opportunities. It is important, when possible, to pause to give both employees and internal systems time to adjust. This may not always be possible however as booming markets often don’t allow growing companies the luxury of a pause. In organising business, there is a distinct difference between the entrepreneur and the administrator. The entrepreneur tries to “feel” the way events are unfolding. The administrator on the other hand views organisational relationships more formally ie rights, responsibilities and authority. Power and status, expressed in a hierarchy and financial rewards, push companies towards the administrative end with the control of the resources also influencing the approach to a business operation. Businesses that use or rent resources by necessity develop informal networks both internally and externally from which new opportunities may be gleaned. It is up to individual companies to allow favourable conditions for entrepreneurship to flourish. That means encouraging the pursuit of opportunity, the most appropriate commitment and use of resources and the breakdown of hierarchy. These goals are not that easy to reach particularly if your company needs to be turned around. It is much easier and safer for companies to stay with the familiar than to explore the unknown. Only by encouraging change and experimentation can companies of all sizes adapt and grow in the midst of uncertainty. HOW HIGH CAN YOU JUMP? A flea can jump up 7 inches (18 cm) and sideways 13 inches (33 cm) or about two hundred times the length of their own body! For you that would be about 200 times your height (900 feet)! Application for YOU – Do you have any unsuspected “flea training” in your life that whispers: “You can’t jump that high! Don’t even try!” Your history doesn’t create your future …(sometimes it can help), but sometimes it limits you in ways you’re blind to. We all have choices in our lives – day to day choices, life choices, choices about our friends (we can’t choose our families – although we can choose how to behave/react with them! ), choices about how we show up at work, our attitudes, our thoughts even our beliefs. And the more coaching I do, the more I see how much we limit our choices to staying in the ‘safe’ zone (under that glass!). Often times we become blind to the myriad of choices that are available to us as well as the range of options before us. The key element that defines our choices is our thinking. Our thinking in turn is driven by the “personal” energy we have. Our personal energy is affected by the sum of all of our life’s experiences. Our learning, beliefs, values, principles, emotional scars, and even our mother’s favourite sayings all aggregate together and help form the filters through which we view and live life. 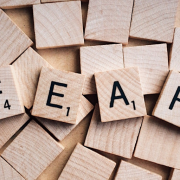 For example, if your life’s experiences taught you to be overly cautious and fearful, then, when presented with a challenge, you will see that challenge through cautious and fearful eyes, and act accordingly. Our personal energy is created by the interplay of catabolic and anabolic energy which drives our choices, our ability to change, and our ability to maximise our current strengths. Both types of energies are valuable and applicable in certain areas of life. Catabolic energy is necessary for immediate survival needs. If you were attacked by a lion, for instance, you’d want the burst of adrenaline and cortisol (catabolic hormones) to help you run as fast as you could. As a short-term survival/coping mechanism, catabolic energy can work well. Long term it is destructive and unsustainable. Anabolic energy looks and feels different from catabolic energy. This energy is behind everything from creativity and intuition to compassion and caring. This type of energy fuels your body, your performance, your perceptions and choices, and your interactions. The more anabolic, powerful energy you have, the more capacity, or potential, you have to achieve whatever it is you wish to do, and also, the more satisfaction you will experience in your life. So is this the year that you will choose to take steps to create the life you want…and jump way before your height? If you’re looking for a new direction, or to make those goals that seem so elusive become reality do this quick checklist. Yes, it’s simple, but take your time (reflect on where your thinking and judgments may be coming from) – maybe over your next cup of coffee. What am I proud of accomplishing over the past year? What didn’t I do that is still outstanding? What am I most pleased with? These aspects of your life are intertwined and will each impact on the other. How will I make these become reality and am I ready to do this? Taking the first step is the hardest but it is your choice whether you take that first step and the next one. If you identify with the above, then I invite you as a valued reader, to chat to me over a coffee, in person, by phone or Skype and let’s see if you are ready to make your goals become reality THIS YEAR! Any groundless or unrealistic beliefs will limit your energy and prevent you from achieving your goals – just like the lid on the flea training glass! My goal is to work with people for change – one person at a time. What is yours? https://mindshifts.com.au/ms/wp-content/uploads/2017/06/jumping-man.jpg 1120 1920 Babette Bensoussan https://mindshifts.com.au/ms/wp-content/uploads/2017/08/mindshift.jpg Babette Bensoussan2017-07-17 07:00:252017-06-13 13:55:57HOW HIGH CAN YOU JUMP? “Human beings are works in progress that mistakenly think they’re finished.” Dan Gilbert shares recent research on a phenomenon he calls the “end of history illusion,” where we somehow imagine that the person we are right now is the person we’ll be for the rest of time. Hint: that’s not the case. WATCH THIS VIDEO BELOW! If you haven’t done your analysis, maybe you might want to look at some techniques in my book here. While some may only grudgingly admit it, competition is good for business. The presence of competitors means that there are plenty of paying customers around. Also, by creating choice, competition forces you to compete for your customers’ attention and money, which, in turn, improves your focus on what it is that makes your business and its products unique and valuable to your customers. Equally, competition results in better business practices. By watching what your competitors do, you can learn about their business and, in turn, learn how to make your business more efficient. Having competitors in the market means you must continually stay one step ahead, which has a very positive impact on innovation and consumer demand. But not all competition is good – or, at least, certain types of competition can be very bad for business. The most dangerous competitor is one whose primary competitive tool appears to be aggressive price competition, either rapidly moving prices down or, worse, selling products or services below cost, in an apparent effort to win sales volume. How can your business compete with an ‘irrational’ competitor who offers equivalent products or service below cost or for free? Smart businesses shoot for margin, not sales volumes and market share. While huge top-line numbers might appear more impressive, Year 9 maths belies the myth of market share: it is just as profitable to sell 1,000 widgets for $50 with a $5 margin as it is to sell 5000 widgets for $20 with a $1 margin. Where you face intense (even irrational) price competition from one or more competitors, it is important to refocus your efforts on developing a value proposition that delivers a benefit, or set of benefits, that is different from that of your competitors and that creates unique value for a key set of customers. Refocusing your efforts to target consumer segments for which you are able to create unique value, or which fall outside those segments targeted by price-driven competitors, will require strict discipline. Usually it will involve making a series of trade-offs, such as ceasing development of certain product features, or abandoning certain market activities. The end objective is redefining your value proposition to avoid head-to-head competition with price-oriented competitors, and shifting your focus to those customers’ needs for which you have a competitive advantage in addressing. It is also important to understand the underlying cause of the competitor’s apparent ‘irrationality’. It may be that the competitor is merely responding to competitive moves by other businesses – including, perhaps, yours. You should review your recent market initiatives to determine whether they triggered the problematic response. You should also review how you are communicating your business’s strategy to the broader market. Very few business leaders are, in fact, irrational, and if your competitors are able to mark out a discrete section of the market to play in, without going into head-to-head competition, they usually will. Adapted from ” Competing with Free” by Mark Neely. 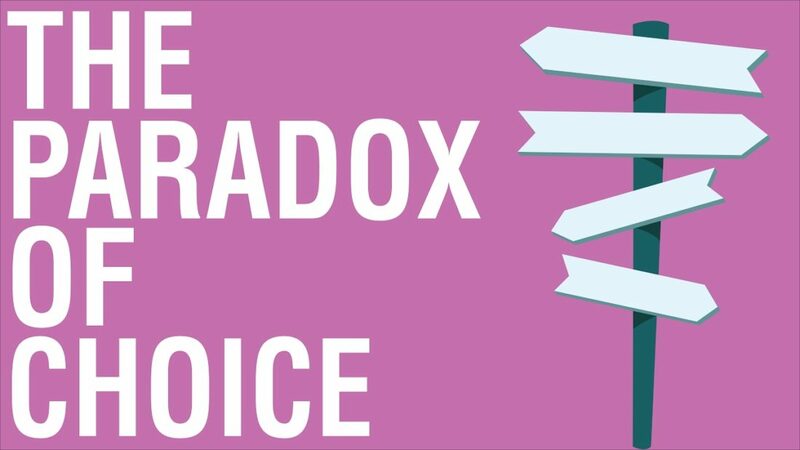 Psychologist Barry Schwartz takes aim at a central tenet of western societies: freedom of choice. In Schwartz’s estimation, choice has made us not freer but more paralyzed, not happier but more dissatisfied. This is a wonderful video on the power of choice, watch it now. 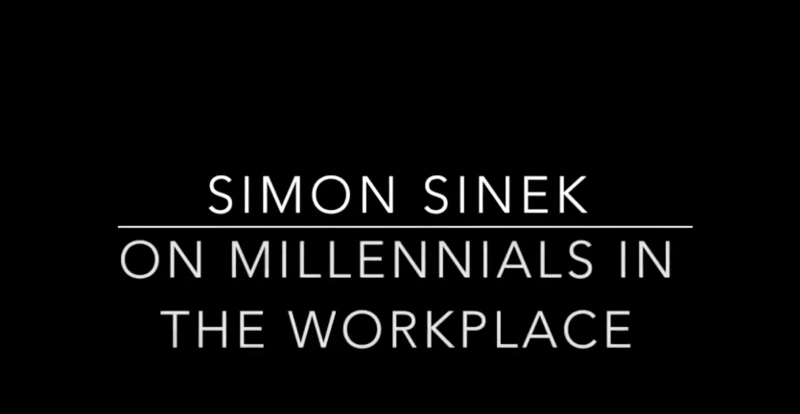 Do you work with Millenials? This is one of the most insightful video we, at MindShifts, have seen on this topic. We had to share it with you. 1. What am I doing when I feel most beautiful, or when I have been at my best? 2. What is something you believe that almost nobody agrees with you on? (This is very tough question as originality is deceptively hard). 4. 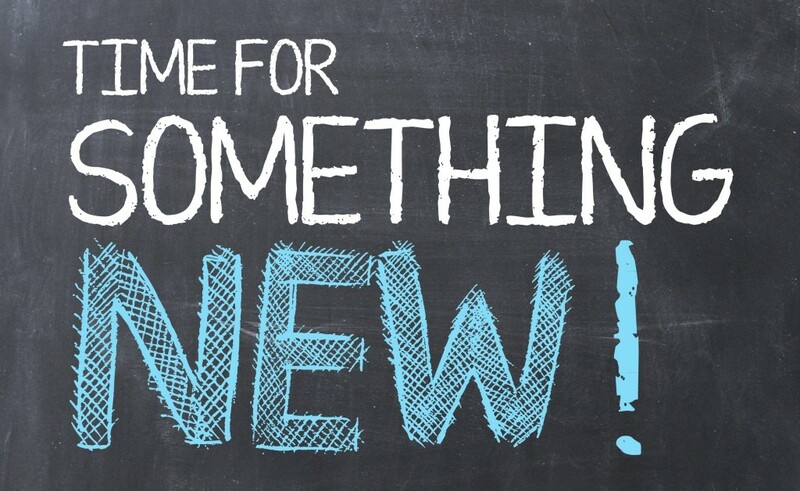 What are you willing to try now that is new or different? 5. Say 10-30 years from now and looking back on your career, what do you want to say you have accomplished? 6. What would you include on your list of hoped for achievements? 7. In the next couple of years, what would you have eliminated off your bucket list? 8. What is your sentence? Need To Overcome Negative Thoughts? Here we are rushing to the end of another year – only 5 weeks to Christmas – and you may be questioning where has the year gone and what is going on in the world. So much change, so much to keep up with! All this may be overwhelming and it may start to drag you down. You could start to feel sorry for yourself, or maybe you are worrying more, or questioning ‘what’s the point?’ On reflection, maybe you didn’t achieve what you wanted to in 2016 and maybe the world news are just putting you in a funk! Negative thoughts can be toxic, can build up and quickly make us feel depressed, sad, lost and sometimes hopeless. 1. In every situation there is a silver lining – Ask yourself what is the one good thing you can identify in this negative situation? What is the one thing you could learn from this? 2. Replace the negativity in your life – What are the 3 top sources of negativity in your life right now? What can you change about these 3 sources? It is OK to take small steps when dealing with this. Alternatively you can keep reminding yourself of tip No 1. 3. Talk to someone – keeping negative thoughts bottled up is not helpful. Find someone you can share or vent with. And then see if you can together find a more positive approach to relieving the negative thoughts to move forward. 4. Are you making a mountain out of a molehill? – think through the negative thought. Are you making the issue bigger than necessary? Think would it matter in 3 or 5 years? What about next month? What would a friend or family member say? When we focus on a problem or issue, it becomes all encompassing and it no longer is in perspective. 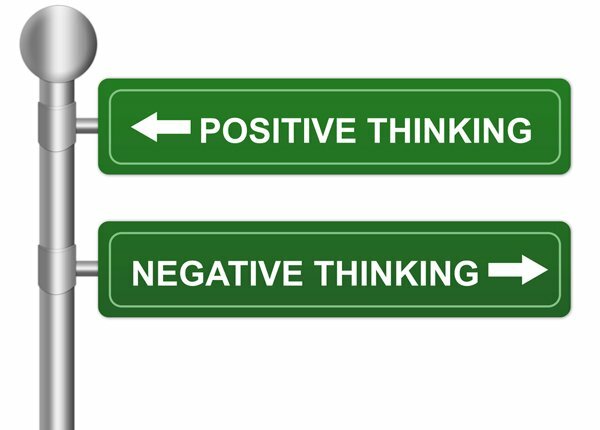 Asking yourself whether the issue is really in perspective is an important way ot manage negative thinking. 5. Be grateful for what you do have – this is my favourite No. 1 negative squasher! List what you have to be grateful for and remind yourself of these things for a week. Grow the list if you can every day. 6. What about going for some exercise? – Endorphins are a wonderful recharger. When you exercise, you body releases chemicals call endorphins, which interact with the receptors in your brain. These trigger a positive feeling in the body and improved self-esteem, providing a more positive and energized outlook on life. 7. Pay it forward – If you want to feel positive then bring positivity into someone else’s life. Do an act of kindness and/or generosity; give a compliment; help out, etc. By adding positivity to someone else’s life, you too can start to feel better and more optimistic again. 8. Start tomorrow with a positive tone – set yourself a reminder the night before of a positive action you are going to take the following day. Make sure you can see it clearly the moment you wake up. Repeat it to yourself a couple of times during the day if you want. Savour it! Each of these will help take those negative thoughts away. Give it a go – what have you got to loose?? Let me know which ones you think help you the most. If you want to talk about it more, give me a call. https://mindshifts.com.au/ms/wp-content/uploads/2016/11/positive-thinking.jpg 430 600 Babette Bensoussan https://mindshifts.com.au/ms/wp-content/uploads/2017/08/mindshift.jpg Babette Bensoussan2016-11-15 12:00:162016-11-15 12:17:52Need To Overcome Negative Thoughts? Most of us at some point in time have to work or collaborate with someone we can’t stand. A wonderful article by Peter Bregman was recently published in the Harvard Business Review on this very topic and I really liked the insights he provided to guide anyone on improving working relationship. Accept that you are not going to like everyone. It’s inevitable you will encounter difficult people who oppose what you think, believe and feel. Conflicts or disagreements are a result of differences in values. That person you don’t like is not intrinsically a bad human. The reason you don’t get along is because you have different values, and that difference creates judgment. Remember not everyone is like you. If you can accept that not everyone will like you, and you won’t like everyone, then this realisation can take a lot of the heavy emotion out of the situation. It’s important that you learn how to handle your frustration when dealing with someone who annoys you. Instead of thinking about how irritating that person is, focus on why you are reacting the way you are. Sometimes what we don’t like in others is frequently what we can’t stand in ourselves. Recognise the triggers that might be complicating your feelings. You may then be able to anticipate, soften, or even alter your reaction. Remember: it’s easier to change your perceptions, attitude, and behaviour than to ask someone to be a different kind of person. It’s not uncommon for people to have unrealistic expectations about others. We may expect others to act exactly as we would, or say the things that we might say in a certain situation. However, that’s not realistic. Expecting others to do as you would do is setting yourself up for disappointment and frustration. If a person causes you to feel exactly the same way every time, check your expectations and adjust appropriately. When you give yourself unconditional love, compassion, forgiveness, and acceptance, you’re then able to give that to others. When your job hinges on how well you talk to people, you learn a lot about how to have good conversations. Celeste Headlee has worked as a radio host for decades, and she knows the ingredients of a great conversation: Honesty, brevity, clarity and a healthy amount of listening. In this insightful talk, she shares 10 useful rules for having better conversations. “Go out, talk to people, listen to people,” she says. “And, most importantly, be prepared to be amazed.” Watch this delightful video below and I hope you have better conversations. When I came across the results of this survey I did not know whether to cry or laugh. Instead I remembered a saying my father used to say: “the more things change, the more they stay the same.” And stay the same they have. These results are similar to survey results I had over 20 years ago. What am I talking about? Held in conjunction with ‘AccountantsDaily’ earlier this year, My Business surveyed over 647 SMEs across Australia to get their take on what they saw as growth barriers to their businesses. Most (58%) said that they have been operating their businesses for 11+ years. We can say then that these businesses have been around a while. So what were the top three barriers? Each of these relates to the market or competitive environment. None of these are internal issues. If nearly 60% of your growth barriers are external why is it that business executives are so internally focused? What does this say about the quality of strategic planning, marketplace knowledge and competitive thinking? Want to lower your barriers to growth? Then take the time to understand your competitive environment. Or you could give us a call. A wonderful article about Competitive Intelligence by my friend and colleague Ben Gilad & Magnus Hoppe was published recently in the Harvard Business Review. Here is a brief overview of the article. Nestle was not able to cope with that – but a competitor was. Baba Ramdev, owner of the fastest growing local consumer goods company in India, took advantage of Nestle’s mistake by launching a product advertised as ‘healthier’ and at a lower price point than Maggi. The really frustrating thing about the story above, is that so few companies learn from such mistakes. So what can you do to avoid similar mistakes in the future? How often do you reassess your business environment? How can different areas of management work together on creating insights that have real competitive implications? 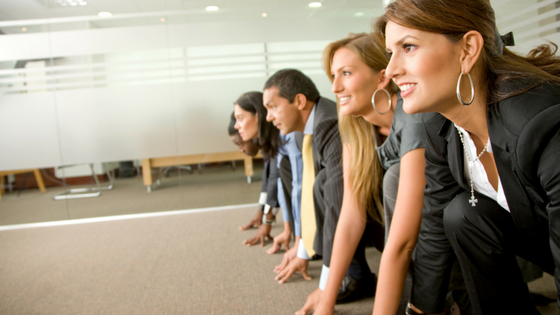 Manage talent differently – recruit different mindsets. Self-hiring is indeed most dangerous in an ambiguous world. Use competitive intelligence differently – think of it as a process for organisational thinking to outsmart competitors in an ambiguous world. How are you coping with ambiguity? We know that companies who place a greater emphasis on information content in their business decisions will be those that face fewer surprises. In fact, getting the right information will be a key success factor for companies in the 21st century. So why do so many businesses shy away from investing in some research about a new product idea, an acquisition, or business expansion opportunity, but will happily plunge ahead with a scheme and rack up million dollar losses when it turns out to be a dud! Why is it that so many companies keep making costly mistakes? Does collecting more data lead to better decision-making? Competitive, data-savvy companies like Amazon, Google and Netflix have learned that data analysis alone doesn’t always produce optimum results. 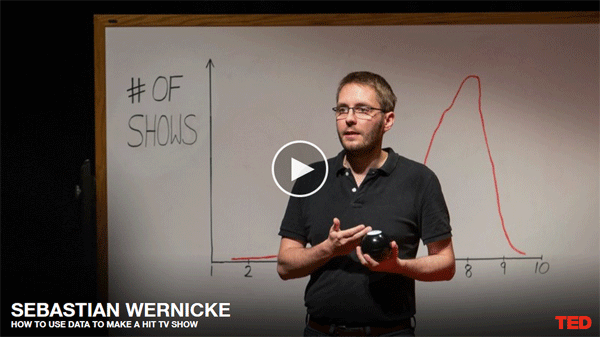 In this talk, data scientist Sebastian Wernicke breaks down what goes wrong when we make decisions based purely on data — and suggests a brainier way to use it. This wonderful video addresses the difference between successful decision-making and unsuccessful decision-making — with data. I highly recommend this video. https://mindshifts.com.au/ms/wp-content/uploads/2016/06/Sebastian-Wernicke-collecting-data.png 337 600 Babette Bensoussan https://mindshifts.com.au/ms/wp-content/uploads/2017/08/mindshift.jpg Babette Bensoussan2016-06-14 19:10:192016-07-26 06:36:13Does collecting more data lead to better decision-making? Strategy is the domain of leaders and getting everyone on board is a critical element for strategic success. However for a strategy to influence action, it must be remembered. To be remembered, it must be understood, To be understood a strategy must be simple. 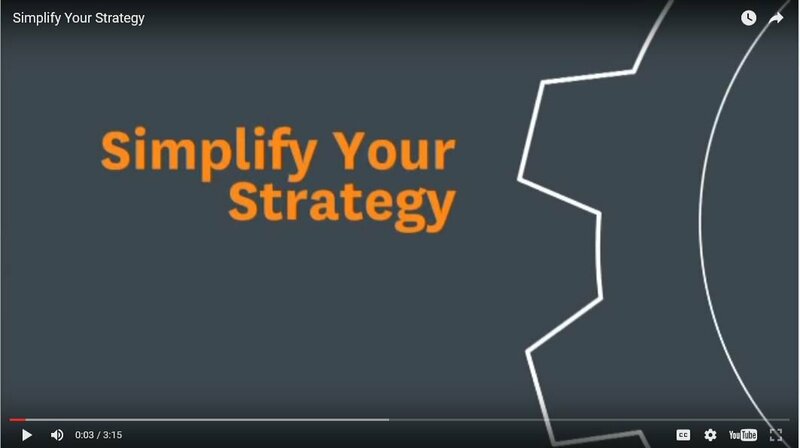 This wonderful video addresses how to simply strategy. Donald Dull from Harvard poses three questions to break down complex strategies in actionable steps. I highly recommend this video. 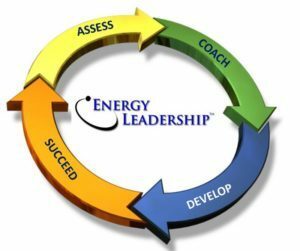 Energy Leadership™is the process that develops a personally effective style of leadership that positively influences and changes not only yourself, but also those with whom you work and interact, as well as your organization as a whole. As individuals, we view the world through filters (based on our experiences, values, assumptions, etc.). Those filters will either limit what we see or expand what we see. As a result, they impact how we perceive and what we think about our circumstances. Throughout our whole life, we’ve unconsciously developed filters, which may be holding us back from seeing the full potential of ourselves and what our life and career have to offer. Leadership: EVERYONE is a leader either by choice or default. Leadership is how you interact with everyone, including yourself. Leaders are quite visible within small and large businesses. We tend to think of them as business owners, CEO’s and managers at all levels. Traditionally, leadership also extends into politics and other global affairs. However, parents, therapists and health care providers, solopreneurs, sports coaches, consultants, mentors, partners in relationship, teachers, authors, and others who interact with people on a regular basis are all leaders. If we don’t think of yourself as a leader, then you are limited in your thinking. Leading is the way we help move people into action, including us. The question is not whether or not we are leaders, but how well we lead. Energy – The Two Streams In Life – Which One Do You Swim In? A relentlessly damaging stream is flowing through the world. This stream is not created by water, but by fear. It is the Stream of Unconsciousness. Its constructive counterpart, the Stream of Consciousness, flows through only a few of the world’s homes and organizations and is fed by creative and positive thinking that produces questions like “What’s right,” “What’s the opportunity here,” and “How can we make this work?” In contrast, the Stream of Unconsciousness is based on only one question: “What’s wrong?” This stream is the one most of us have been trained to see, listen to, drink from, and bathe in since birth. During any typical workday, most people spend a great deal of time focusing on what’s wrong — with their family, their jobs, their projects, their colleagues, their relationships, and their lives. At work, it’s not surprising that studies show that more than 50 per cent of the people in a nation’s workforce would choose, if they could, to quit their jobs. What will it take to shift the pressure and negativity that surrounds not only our careers but our personal lives and the state of our communities? What will help employees to be productive, content, and have a positive view of both the organizations they work for and the people they work with? More than a hundred years ago, Albert Einstein addressed the scientific community, passionately presenting the idea that everything we see, hear, taste, touch, and smell is not matter, but energy. Everything that “matters” is energy. On an energetic and cellular level, catabolism usually refers to a breakdown of complex molecules, while anabolism is the opposite. When you hear about a person’s catabolic or anabolic energy, however, it’s a broader statement about destructive and constructive forces in an entire person, who is made up not only of individual cells but also of anabolic and catabolic thoughts and beliefs. Anabolic and Catabolic energy are predominant in organizations as well as people. Many organizations experience catabolic energy by constantly reacting to their circumstances with worry, fear, doubt, anger, and guilt. And thoughts are indeed contagious. When even a few people in an organization have negative feelings, it can spread like a virus. “Group think” sets in, and their thoughts become group “fact.” Once that occurs, the company can implode energetically in a swirl of gossip, negativity, conflict and contempt. Remember that “group think” begins with “leader think”. At its core, an organization strongly reflects how its leader thinks, feels, and acts. Anabolic leaders have the ability to motivate and inspire themselves and others to do extraordinary things. They have the ability to make energetic shifts in all levels of the organization. The most successful organizations are those that are filled with powerful, positive, anabolic leaders, and that means everyone in the organization, not just the “ones at the top.” No matter how effective or ineffective you currently are in your role, you can transform yourself and others, as well as your organization, into a thriving, inspired, positive, productive, and successful entity. And, thus begins your journey to become the Ideal Leader. The Energy Leadership Index (E.L.I.) is a unique assessment that enables participants to get a snapshot of their perceptions, attitudes, behaviours, and overall leadership capabilities. The Energy Leadership Index assessment reveals what specific filters you’ve developed and how those filters are influencing the results you’re achieving. In a way, it’s a snapshot of you, and how you show up in the world. It shows the effects of stress on your performance and targets areas where you can shift your energy to be more successful. https://mindshifts.com.au/ms/wp-content/uploads/2016/07/Assess_Coach_Develop_Succeed-300x251-e1467343499906.jpg 251 300 Babette Bensoussan https://mindshifts.com.au/ms/wp-content/uploads/2017/08/mindshift.jpg Babette Bensoussan2016-05-17 03:26:102016-07-26 06:36:13What is Energy Leadership? Are your 2019 business plans based on the right information?